→Why Is My Baby Crying? How Can I Soothe Him or Her? This is a question that has undoubtedly been asked by many tired and frustrated parents over the years. A crying baby may keep you up at night, and it may give you a splitting headache, but it should also do one more thing that is very important. It should give you an indication that there is something wrong. Your baby can’t come up to you and tell you that something is bothering you, at least not yet. That means that as a parent it’s up to you to be able to figure out what is wrong when your baby is crying. He or she is crying because there is something that is bothering them and they are letting you know that they need your help. One of the primary reasons that a baby is going to cry is when he or she is hungry. You have to remember that your baby can’t come up and tell you that they are ready for lunch, that means that they are going to communicate with you the only way that they know how, and that is by crying. Unfortunately, there’s no certain pitch or type of cry that is going to scream out at you that your baby is crying because they are hungry. That means that you are going to have to play detective a little bit to figure out if it is indeed hunger that is causing your little one to cry. The good news here is that there are a number of easy to spot signs that your baby is crying because he or she is hungry. The first clue that your baby is hungry and that is why he or she is crying is because it has been more than a few hours since their last feeding. Babies, newborns, in particular, need quite a few things, such as being able to eat on a regular basis because their little stomachs are too small to hold very much food. That’s why babies get up at night frequently for bottles, and why new parents are usually sleep deprived because they are getting up all night to feed their little one. Another tip that should help you to determine if your baby is crying due to hunger is to give them a pacifier. If they take that pacifier and begin trying to get milk from it and don’t drop it, then that’s usually a good sign that it’s feeding time. Just like the rest of us grown-up people, babies are not happy when they are not comfortable. This, in turn, causes babies to let you know that they are uncomfortable the only way that they know how to, and that is by crying. So why would a baby be uncomfortable? One of the most common reasons is because they are wet or have soiled their diaper. This is easy enough to check, and if they need changing then in most cases they will calm down shortly after they have a fresh diaper. Another common cause of baby discomfort and the crying that comes along with it is if they are teething. Teething is no fun at all for a baby, and it can leave them feeling a lot of discomforts, which leads to a lot of crying. 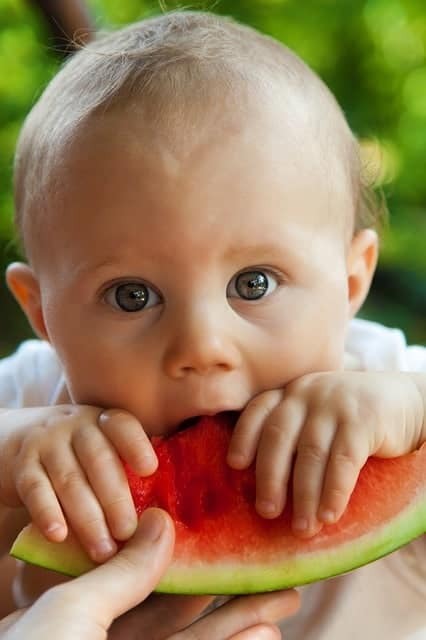 Checking to see if your baby is teething is simple, you can just look in their mouth. You can also use your finger, after you have washed it thoroughly of course, and put it in their mouth to see if they have a tooth coming in. Be careful doing this though, because believe it or not a baby can pack quite a bite (I know this from experience, Steven went through the “I’m Biting Daddy when I’m Upset” phase shortly after turning a year old. If your baby is too hot or too cold then this will also often cause them to cry. You need to remember that your baby is much more vulnerable to temperature changes than adults are. They are particularly vulnerable to cold temperatures. If you think a room is chilly, and your baby is crying, then they are probably very unhappy and are very cold. This can be remedied by simply bundling them up a little better. If the opposite is true and they are too hot, then you can take off some of their clothing and try to place them near a low power fan. Another common reason that babies cry is if they are constipated. Constipation is a frequent problem for babies. While we may not like changing diapers, it is a far better alternative than having your little one suffer because they are having a hard time going to the bathroom. All babies are different, so you need to pay attention to how frequently they have a bowel movement. If they are not having them as frequently as normal then this is a sign that they may be constipated. If their bowel movements produce hard stools, then this is another sign that they are suffering from constipation. If you suspect that your baby is constipated you should consider increasing their fluid intake, and a gentle massage of their tummy often helps as well. Believe it or not, sometimes your baby cries just because they miss you and want to be held. 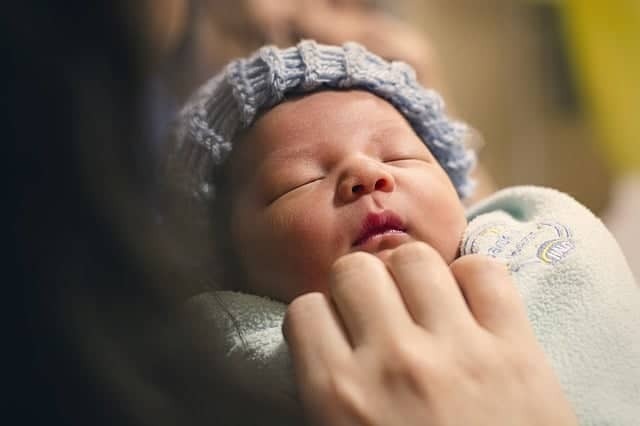 Your baby feels most safe in your arms and sometimes they just need to be reassured that you are there, which means they want to be picked up and held. 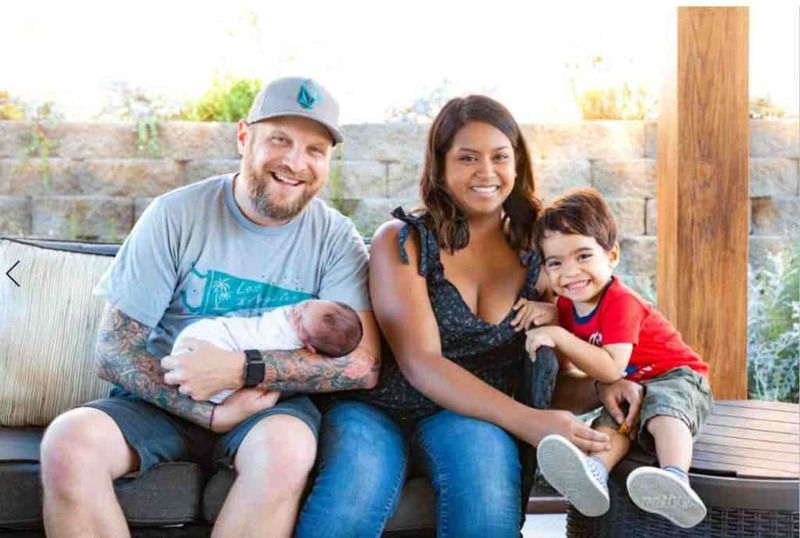 If you suspect that your baby just wants to be picked up, and there are no other obvious signs of what could be causing them distress, then go ahead and pick up your little one and comfort them. With any luck, you should be able to calm them down quickly, and then get them to go back to napping or sleeping. It’s important that you comfort your baby when they need it, but it’s also important to not allow your baby to expect that they will be held all the time. IMPORTANT: Babies can get spoiled so unless you want to stay up all night holding your little one, you need to show a little restraint and not hold them all the time. While you should definitely comfort your baby when they are really upset, there’s nothing at all wrong with letting them cry and fuss a little bit if there’s nothing wrong with them. With that, let us know which of these tricks worked for YOU! Is there anything you’ve used that works every time?